The idea of a CDN (Content Delivery Network) is to deliver this unchanging content (media and scripts) to the visitor’s browser using a global network of specialized servers. Your own server or web space is then relieved from this task and able to concentrate on pure page generation and delivery. The larger static elements are stored on the servers of the CDN provider. This not only saves traffic and processing power on your server, but also increases the performance of your web presence through intelligent and local delivery as well as the usually higher performance of the CDN infrastructure. Even an own server farm can’t compete with a CDN as it doesn’t solve the latency and throughput problem. Naturally, ten servers in the Netherlands can’t achieve an improvement for visitors from Australia. In addition, a server farm, which means servers typically located in one and the same data center, only has a limited redundancy. CDNs used to be reserved for big companies or authorities because of their high costs. An example is the German tax office that offers their tax form downloads from the Akamai servers – they belong to the probably biggest and most expensive CDN in the world. They don’t even have a transparent pricing. Instead, you get an offer only on request. With such structures – especially in terms of pricing – smaller companies, which, on the other hand, would be naturally born customers for this type of network, didn’t even have to think about using CDNs. It wasn’t until two years ago that more and more companies conquered the concentrated and controlled CDN market bringing more competition. As always when competition suddenly arises, customers are faced with radical and less radical concepts. Some time ago we took a closer look at CloudFlare. CloudFlare is a CDN that is free, which is good, at first sight. At second sight, it cannot even convince users with more than an amateur’s expectation. The structure is just not reliable enough to commit a website to it, given this website is supposed to earn money. To me, this comes as no surprise as the saying goes, “There ain’t no such thing as a free lunch”. You can’t provide server capacities in global, strategic distribution for free. Some services (outside the CDN world) work well with a free of charge concept; however, a CDN can’t! My clear advice is: keep your hands off purportedly free offers! But then, there’s a wide corridor between “for free” and “too expensive”. And this corridor is where the Swiss company proinity LLC with their service KeyCDN has settled. 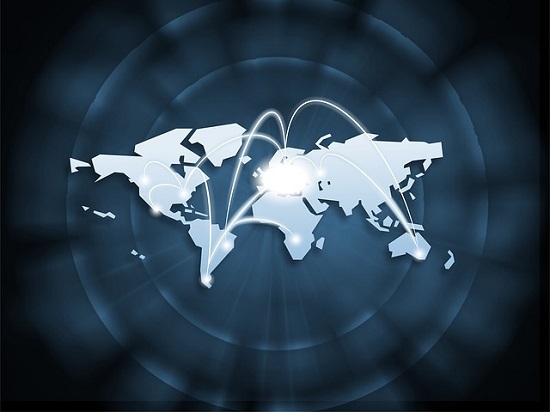 KeyCDN provides global locations for delivering content with eight being in the USA, eight in Europe, three in Asia, and one in Australia – more are to come in the future. If you deal with the subject matter, you’ll quickly notice that most budget CDN providers are based on one of two concepts. The operator either sets up a CDN based on a Federated approach or he acts as a reseller of one of the bigger CDN structure providers who are usually active in the background. 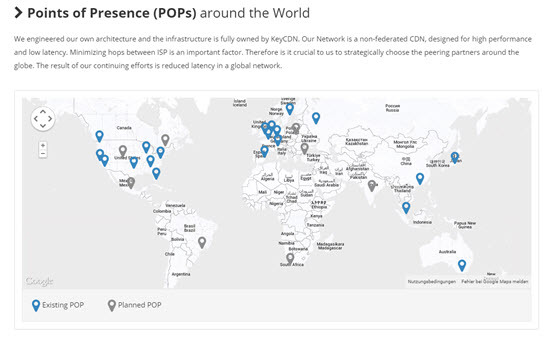 Federated is an approach by various providers who cooperate and share their networks for a certain purpose – in this case, content delivery – to stand competition against the big global dedicated CDN providers. Resellers, on the other hand, buy services from one of the big structure providers like Edgecast, Akamai, Limelight, and others, and sell them white labeled at their own risk, expenses and prices. KeyCDN works with neither of these concepts. This fact makes it stand out from the crowd right from the start. KeyCDN’s distribution strategies are based on in-house developments and not on third-party solutions. They do buy space and capacities from other providers to be scalable, however. Having their own technological concept puts them into the comfortable situation of working flexibly with various worldwide infrastructure providers without becoming dependent on them. Besides this major difference which can’t be pointed out often enough – as it does make KeyCDN an autonomous and independent concept – there are some more advantages that can give competitors a hard time. Website operators from the DACH region get a service that includes (but is not limited to) German-speaking customer support. This is an argument that speaks for itself for quite a few potential customers I know. International support leaves nothing to be desired too. 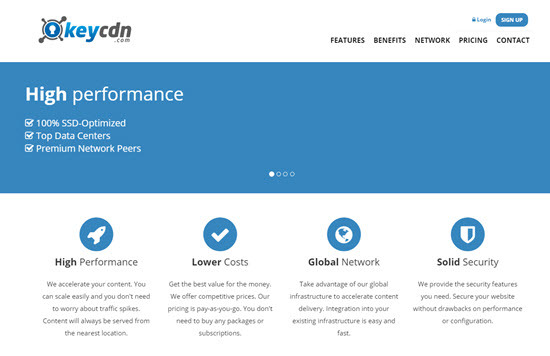 KeyCDN’s pricing model is based on services you actually use rather than predefined packages. While competitors often offer bulky monthly packages with, for example, 1TB of traffic for $79 which fall due every month because you can’t transfer unused traffic volume from the previous month, KeyCDN orientates on facts. They charge $0.04/GB which would be a comparatively cheap $40/TB, however, only if this TB were used. There is neither a time limit nor a minimum usage for the defined period. In the USA and Europe, rates decrease with increasing use, in Asia and Oceania they don’t, but it’s not like $0.04 would be a rip-off. So, there are no packages with monthly payment; it’s all “pay as you go”. Prepaid methods like this require an account with enough money on it. The minimum charge is $25. To make sure your account is always charged and won’t turn inactive, you can choose to go with automatic payment. 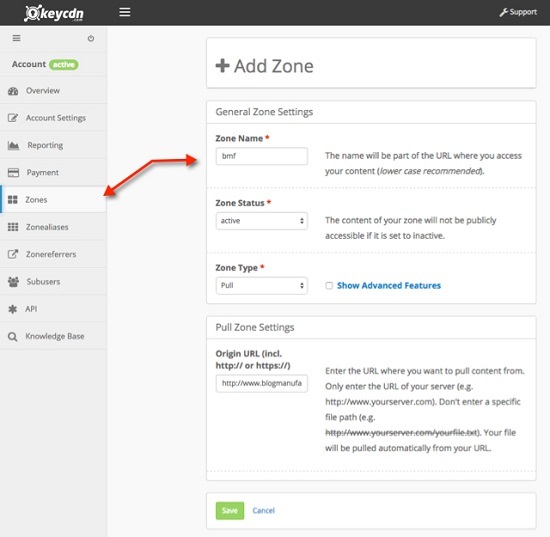 KeyCDN doesn’t charge extra zones like other providers usually do. Using custom SSL is also free which saves you up to $100 compared to other players. The free shared SSL is in line with industry standards. Storage costs apply only for Push Zones (FTP upload). The more common Pull method where KeyCDN automatically loads relevant static data from your server and buffers it is also free of charge as are HTTP requests. KeyCDN offers a 30-day free trial with 25GB traffic to new customers who first want to convince themselves of the quality. This package expires after 30 days. Otherwise, they would probably be overrun by heaps of small customers who don’t need more than 25GB in all of their lifetime. You don’t need to provide your payment details for the trial. So, what are you waiting for? Getting started is quick and easy. All you need is a valid email address to confirm your account and a safe password. Confirm your account and get started. After logging in, click on “Zones” in the left navigation and create a zone. You can choose between Push, Pull, VOD, and LIVE. The most common method is Pull where KeyCDN automatically loads and stores static data from your website. In contrast, Push provides FTP access for you to manually upload static data. Cautious users don’t need to be worried as FTPS and rsync are available. VOD is used for video on demand and Live for streaming servers. Open the settings of the plugin and go to the tab CDN, click on “Enable CDN Support”. 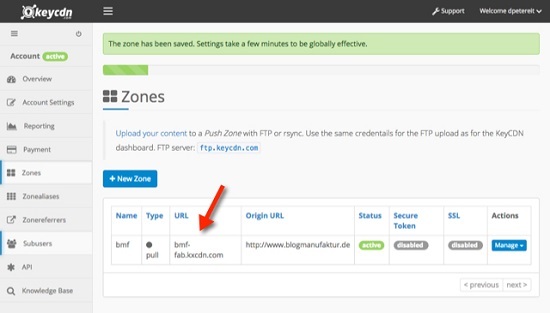 Then, under Off-site URL enter http:// followed by the address you can see in the dashboard under Zones > URL. In my case I’d enter http://bmf-fab.kxcdn.com. All other settings are left untouched. Now, I’d delete the cache of WP Super Cache and that’s it. It’s as simple as that. KeyCDN is a new player in the budget CDN market. You only pay for traffic which costs affordable $0.04/GB. This includes pro features competitors would charge for separately. Currently, they operate 20 POPs worldwide with more to come. Implementation, especially into WordPress websites, is really easy. A 30-day free trial with 25GB of traffic is offered without the need of providing payment details. See for yourself.